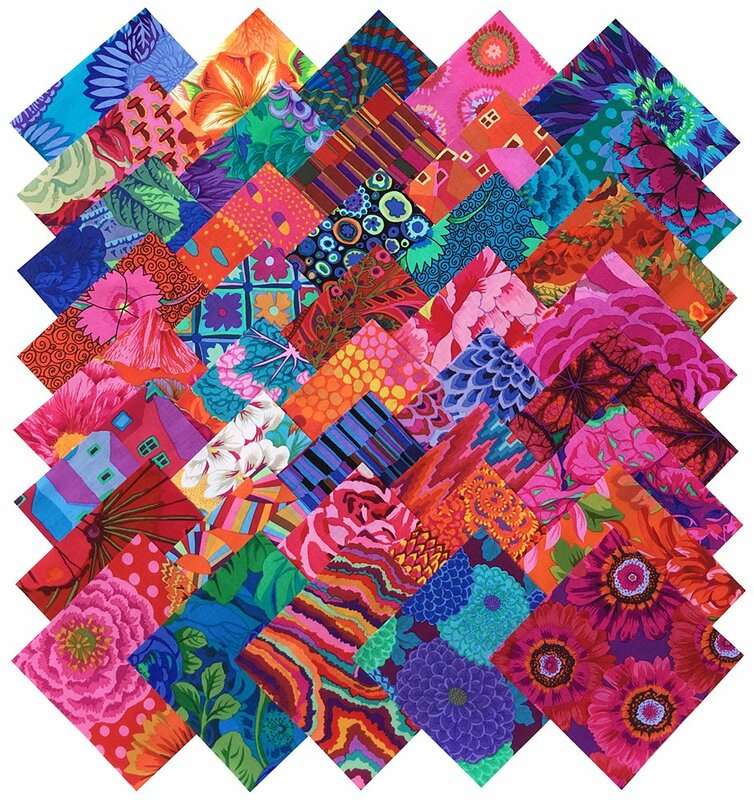 Designer Kaffe Fassett for Westminster Fibers Precut Fabric Squares Collection. (40) 5-inch by 5-inch fabric squares. Collection includes 40 different prints, 1 of each print. still a star in the field 20+ years on. this has ‘name cred’ to make a low cost but impressive gift for sewing & quilting. Wonder if he still does yarn or it’s just all fabric all the time?